If you know me, you'll know that I've never really been one to be excited by highlights and I mean never! I've never jumped aboard the blinding highlights train nor the duo-chrome or iridescent ones, I just like a highlight to have a glow from within kind of sheen to it and I've never found one that I've liked. So the fact that this post is dedicated to a highlight, it must mean something..! 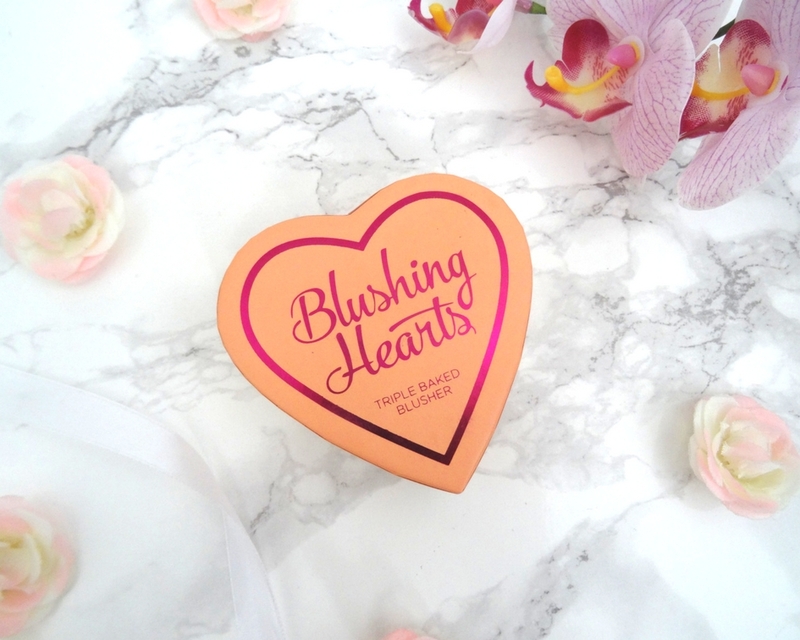 The highlight in question isn't exactly a highlight as it's described as a blusher instead, but don't be fooled because this beauty is I Heart Makeup's Blushing Hearts Triple Baked Blusher in Peachy Pink Kiss. The packaging is quite unique in regards to its cardboard structured box that the product comes and sits in; I don't think I've seen a product packaged like this before. It is particularly chunky which can be hard to store as well as travel with as the lid isn't secured on at all so you do have to be careful. However, the design itself is cute, fun and girly which shows the target audience for their product, teens and younger ladies. Even if it is in a heart shape I love it! 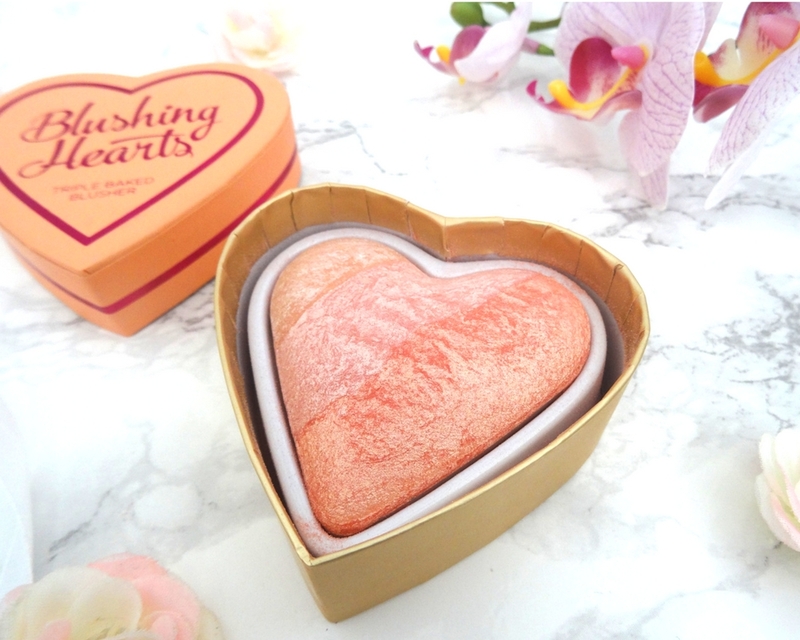 Due to the products triple baked formula, it has a blend of three different shades: pearlescent gold, baby pink and a coral pink. I like to sometimes just dab my brush into the colour I'm feeling on that certain day or just swirl my brush in all three to create a lovely light, pearly pink sheen. 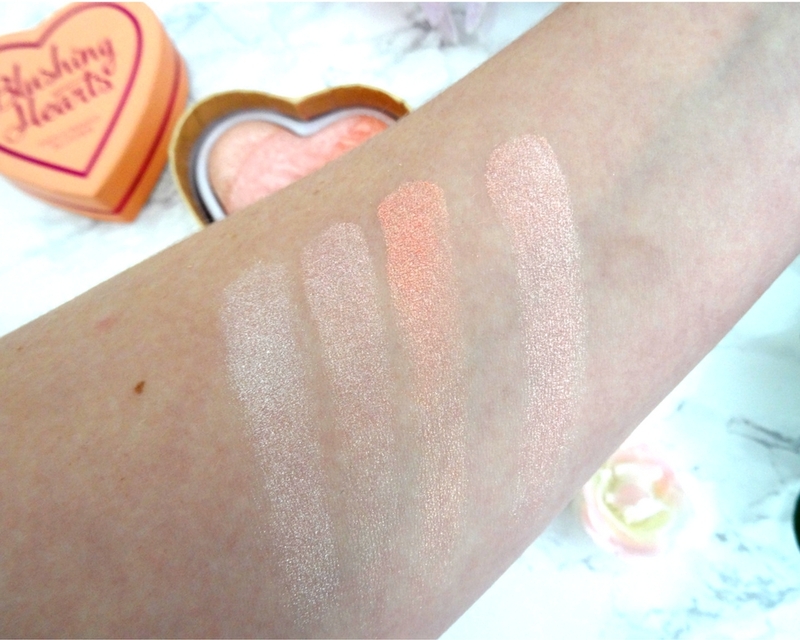 As for the formula, I've noticed that when you swatch the product it can look quite glittery but once on the cheeks it turns into a beautiful shimmery sheen with no real visible chunks of glitter at all, which is what I love about it. You can even build this up to be a pretty blinding highlight if that's the look you desire. 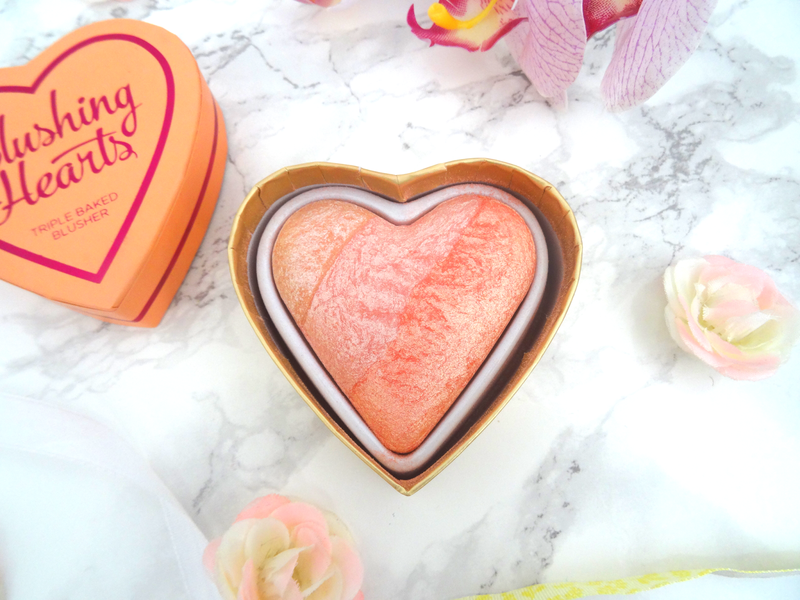 This highlight doesn't emphasise texture, therefore, if you're worried about it creating attention to your cheeks then don't worry as it'll be for all of the good reasons! It's a must have really, for everyone, considering it's only £4.99 what have you got to lose? 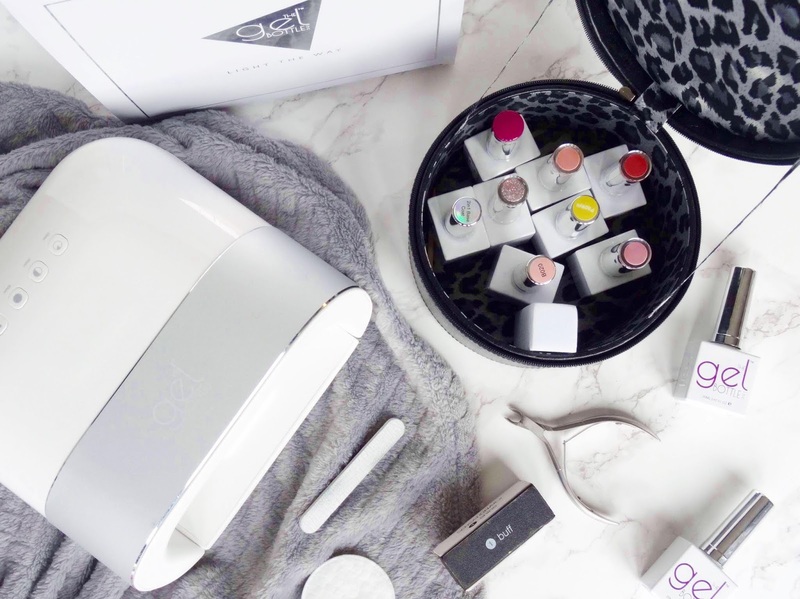 It's incredibly inexpensive, it looks amazing on the skin and it gives you a sheen throughout the entire day. If you do decide that you want to take this travelling with you all you have to do is wrap an elastic band around it and it'll be perfectly fine for the journey. Do you love highlights and are thinking about picking this one up? What highlight would you recommend to me considering this is the only one I own? Thanks for reading.